Paramount Pictures has released a brand new poster for their upcoming Transformers spinoff Bumblebee. While footage for the movie has been quite promising, this first ever franchise spinoff has a may uphill battle. The Transformers series has been a juggernaut at the box-office, but unfortunately, it’s taken a major setback when it comes to critic and fan response. Since the last two movies have been somewhat of disappointments, Paramount has decided to change directions and put the future of the franchise in the hands of the most popular Autobot: Bumblebee. This spinoff has been something that feels years past due. Bumblebee has been the most popular Transformer since the first movie, and although the franchise has slowly been pushed into the ground, Bee’s popularity has grown even more through the years. And with a different time era and new director behind the camera, plus some cool footage we’ve already seen, the Bumblebee spinoff could change the tide for the entire franchise. While we wait to see what else the movie has in store with an eventual new trailer, we now have a new poster to take a glance at. 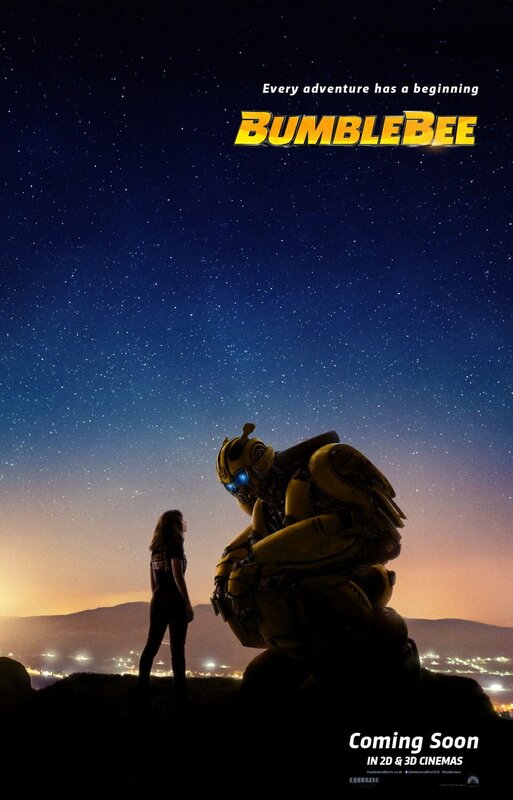 Playing off the same exact vibe the first trailer gave us, this poster once again focuses on the relationship between Bee and his human companion in they film: Charlie, played by Hailee Steinfeld. We’ve seen Bee have connections to human counterparts before, but this perspective could give a Transformers movie some serious heart. And that’s why many, outside of myself and just a few others, are very much looking forward to what this film has to offer. What do you think of the poster? Is it scaled down tone something you’re looking forward to? How about the trailers? Are you intrigued by them? Also starring John Cena and John Ortiz, Travis Knight’s Bumblebee hits theaters on December 21st.